TAKE TIME OUT TO DISCOVER NEW FASHION BRANDS-OFTEN, SMALL BUSINESSES CAN PRODUCE SOME OF THE BEST CRAFTSMANSHIP AND CREATIVE DESIGN TO BE FOUND. SEEK ITEMS MADE FROM QUALITY MATERIALS AND BAG SOMETHING UNIQUE FOR YOUR WARDROBE OR HOME INTERIORS. Discovering local talent has been an on ongoing love affair, seeking out designers and brands that are fresh to the scene, with bags of creative vision - rare talents that are set to go far. Whilst celebrating a personal style has always been high on my agenda - there’s no better feeling than finding something beautiful and unique that is relatively unheard of, whether it be an interior or piece of clothing. I’m a huge advocate of small design businesses, who offer something original and inspiring to the world of fashion and home interiors. I’ve put together a handpicked list of some of the best, combining skills such as embroidery, painted leathers, surface pattern, leatherwork, fashion design and quilt patterning. For unique embroidery and embellishment – customize your garment with a little glitz. Having previously designed embellishments and embroideries for couture runway collections at Nicholas Oakwell Couture, Abigail Gardiner started up 'A Finer Thread’. A design business focusing on bespoke handmade creations, featuring giant cross stitch lettering, sequin bugs and floral embellishments. The latter inspired from spending lots of time trying to get embellishment onto clothing in a fun, stylish and practical way. 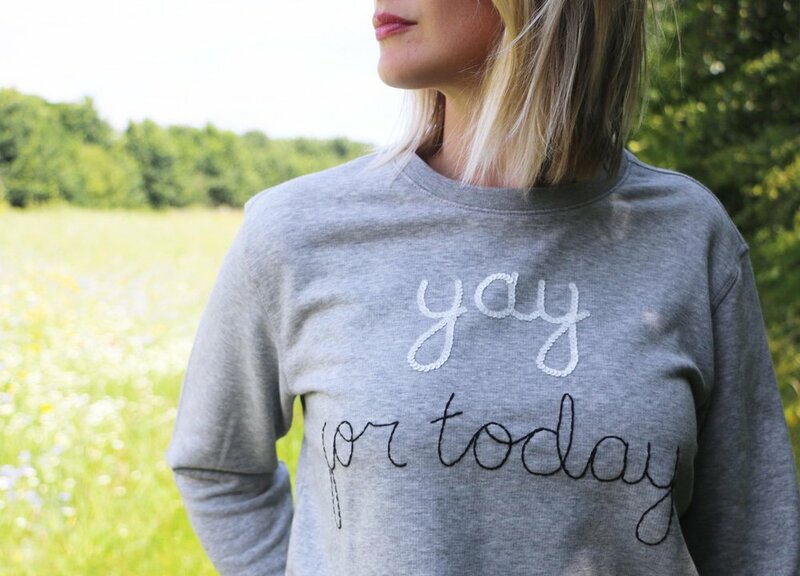 The sequin embellishments give a bit of sparkle and colour to garments and the giant cross-stitch lettering stands apart, as it is entirely handmade from start to finish. 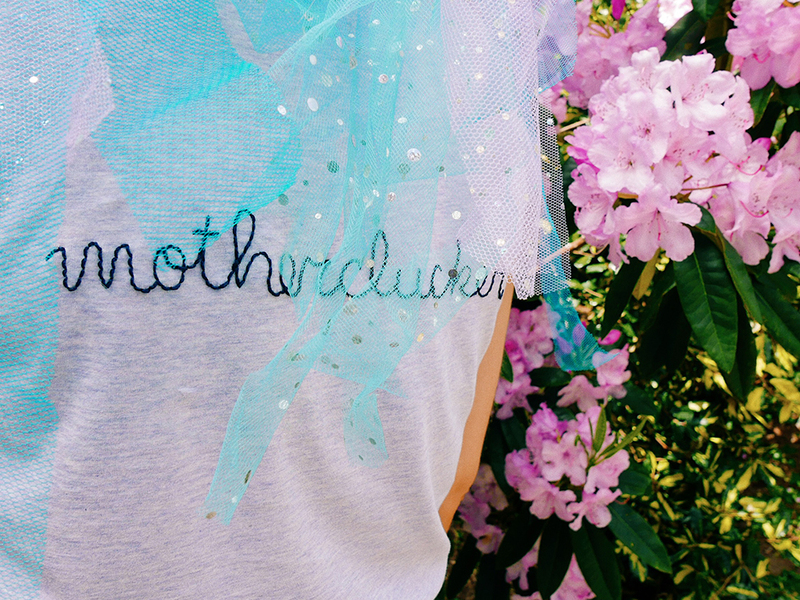 I fell in love with my monogrammed, cross stitched 'N' tee as soon as I laid eyes on it! It arrived beautifully packaged with a lovely personal note from Abi. The tee embodies personal style and like anything monogrammed, I feel it adds a unique identity to it - very much belonging to the owner. I was excited to don my tee and meet Abi to find out more about the inspiring business she has started up. “I love the art of embroidery and embellishment, the handmade nature of it and the process of creating something unique, yet still very wearable", says Abi when we meet. Abi works from her ‘not for profit’ visual arts studio in Exeter, Devon, citing this as her daily escape, a place she can completely absorb herself in her work. She is hugely passionate about growing her business, developing her ideas and experimenting with colourways and materials, bringing something exclusive to the world of fashion. “Having something personal, that has been made just for you is very special and synonymous with the world of couture, it's this element of bespoke craft that I am trying to bring to a wider audience in a more everyday way. All garments are organic and individually made to order. Our clothing line really is made from A Finer Thread,” enthuses Abi. 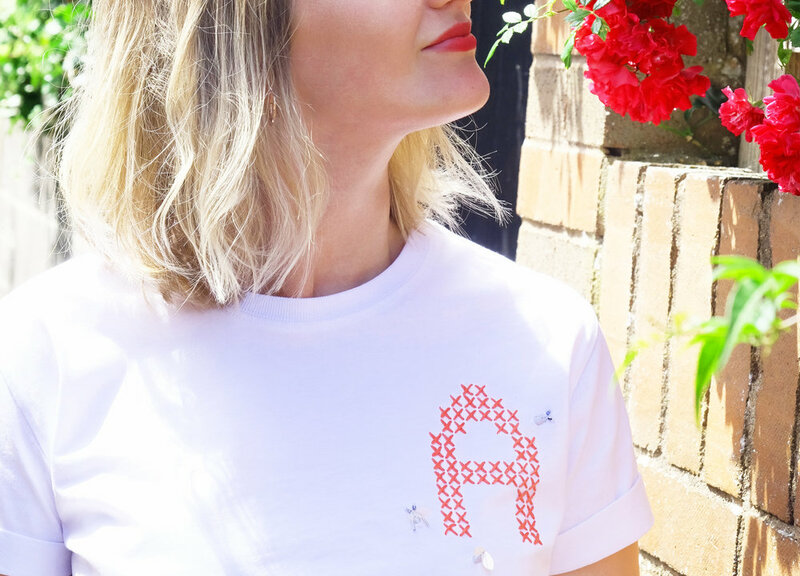 So whether you want to give an old garment a new lease of life or you're seeking something new that isn't off the peg, Abi's designs will offer a refreshing and personal addition to your wardrobe. Rosie's hand made coin and card purses make a cute and very useful addition to any bag. .
Rosie Drake-Knight is a designer and tutor of textile design based in south Devon. She makes beautifully unique leather purses, pouches and bags. Having studied Textile Design at Falmouth University and graduating in 2013, she now designs, prints and stiches leather luggage for fellow advocates of modern craft, whose loyalties lie within quality workmanship and traceability. 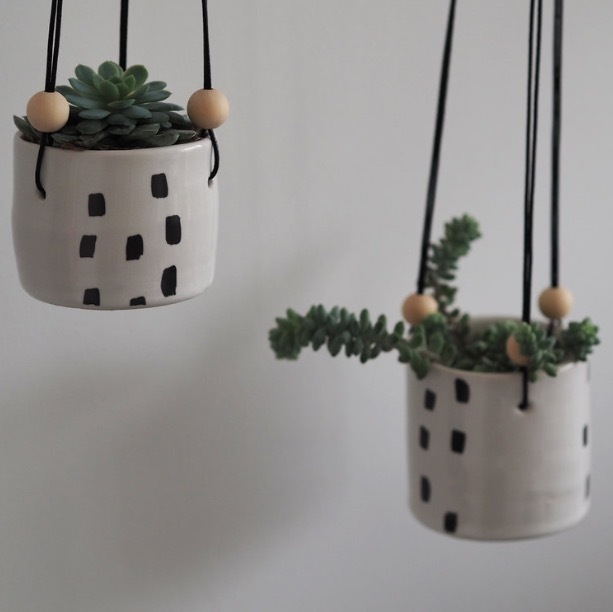 She is also one half of ‘Native Makers’, a platform for young design-makers based in the South. It's the clever use of colour and minimalist structure of the collection that I am drawn to - never without my cross-hatched leather zipped pouch, I was keen to find out more about Rosie's ethos and just what it is that drives her to create in an increasingly competitive market. “Surface pattern and leatherwork have gone hand in hand for me since the final year of my degree. Back then my design concept was a seedling, established by an idea to record naturally occurring patterns using traditional screen print techniques. Over time my accessories collections have bloomed. An organic warmth prevails, subtly sculpted into natural, functional fashion,” says Rosie of her creations. Rosie's beautiful custom tassel pouch in moss green suede. Rosie’s new collections are ignited by the love for a certain colour palette, which she builds both pattern and products around. 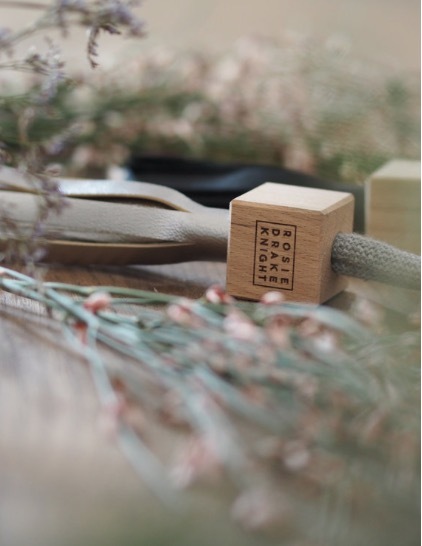 She then uses the hand drawn process of screen print – this takes slightly longer in the short term but Rosie is adamant that this technique enables her to keep an entirely organic finish to her products. Rosie has recently participated in a challenge to go for one year wearing only handmade garments. Since completing the challenge, she feels she has learnt so much, including a change of mindset. “I have learnt to adopt a need/want filter and can honestly say that my attitude towards shopping has shifted,” Rosie enthuses. Browse Rosie’s collection and you will find luggage along with accessories and a little ceramic and leather homeware. “Let's be kind to our everyday carry. Our keys, phones and cards deserve a little luxury too", Rosie says of her evolving brand.